Product categories of Hollow Board(Corrugated Plastic Sheet), we are specialized manufacturers from China, Hollow Board, Hollow Plate suppliers/factory, wholesale high-quality products of PP Hollow Plate R & D and manufacturing, we have the perfect after-sales service and technical support. Look forward to your cooperation! HLC Plastic Production Co.,LTD. have more than 14 years of experiences in producing corrugated plastic sheet and own 5 machines of producing corrugated plastic sheet, 10 cutting board machines, 12 nail machines, 1 automatic proofing machine, which can meet the need of big order. The lead time is short, we can deliver the goods(20'GP) about 3 days, (40'GP) 5days. When making the samples or products, we can send the photo or video to reassure our customers. Plastic Hollow Board (also known as universal plate) is called plastic hollow plaid. Its main components are polypropylene (PP) or polyethylene (PE). Its light weight, high strength, non-toxic, non-polluting, waterproof and moistureproof, corrosion resistance, colorful, easy to printing, recyclable, and has good environmental protection performance and secondary processing performance, can be processed into various Turnover Box, packing boxes, knife CARDS, baffle plate, plate, plate, automobile interior trim panels, tap, bottle, advertising board, etc. ; Due to its abundant raw materials, moderate price, excellent performance and wide application, it is widely used in most countries in the world. There are 2 -- 6MM thickness to choose from, and can makedifferent kinds of ordinary, static and conductive. Anti-static Hollow board is a kind of Hollow Plate, than ordinary increased the function of anti-static Conductive Insulating Board, surface resistivity, anti-static Ω hollow plate is 106-106; , conductive hollow plate 104-105 Ω commonly! 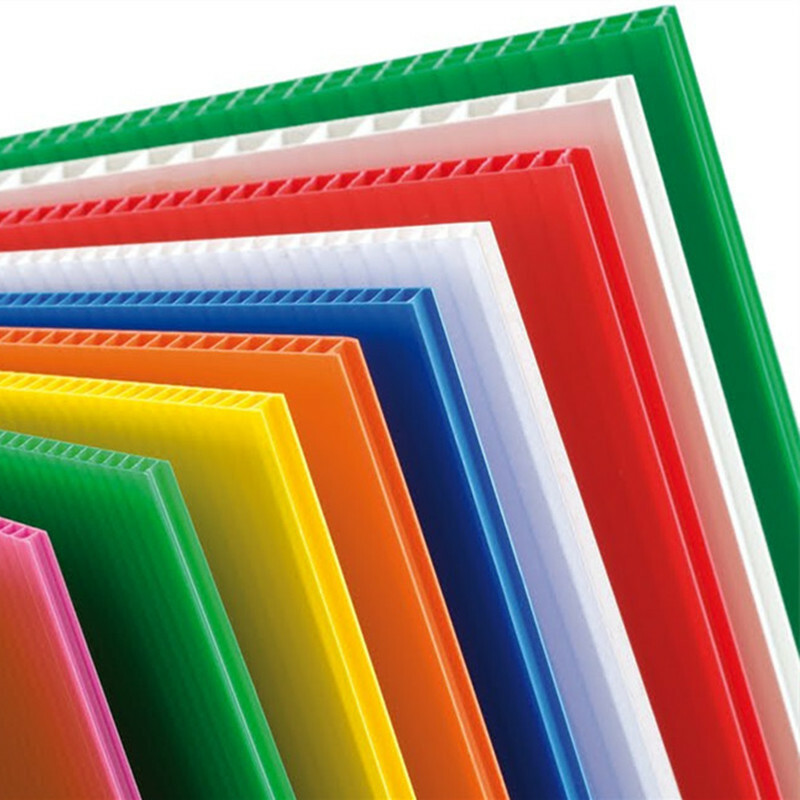 Antistatic hollow panels are generally made of environment-friendly non-pollution recyclable thermoplastic polypropylene (PP), polyethylene (PE) resin and other special anti-static materials, which are the materials of new type of anti-static packaging materials.